While looking at potential schools in the area as a transfer student, I began to feel overwhelmed with all the possible options. Moving from a small, homogenous school, I knew I was looking for a school community that was broad in size and diversity. Because I aspire to be an engineer, a difficult major to pursue, I knew I wanted to attend a school that sends students to prestigious universities and offers a competitive and broad course load. While only five or six AP classes were offered at my old school, at Shorecrest, I’m able to choose from 25 AP classes to fit my STEM-oriented schedule. In addition, unlike my previous school and many of the schools I applied to in Florida, Shorecrest offers numerous electives that will help me in engineering school such as Java, Intro to Engineering, and Python. 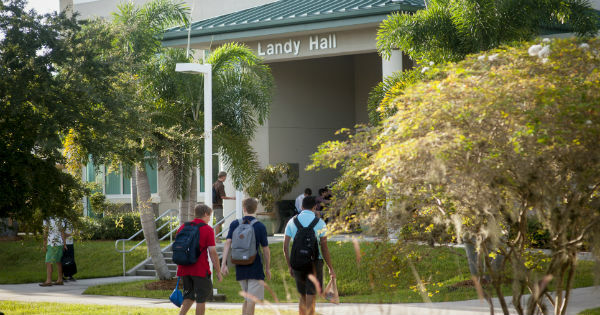 After narrowing down my choices to three of what I perceived to be the best private schools in the Tampa Bay Area because of their rankings, size, and course offerings, I went to tour their campuses. I liked all of the schools I visited and great great people, but I was especially taken with how welcoming the Shorecrest students and faculty were. At one point on the tour, I met an impressive teacher name Ron Heller who I talked to for a half hour about the international trips he hosts and his history class. Also, I had a group of students approach me and ask me questions, making me feel very welcome. Though the other schools I applied to were impressive, I felt Shorecrest was the right fit for me since it was here that I could receive a great education while being surrounded by a broad, diverse community of friendly students and knowledgeable faculty. If you're interested in learning more about Shorecrest and would like to take a tour with a student ambassador like Austin, please request a tour below and an Admissions Officer will contact you.